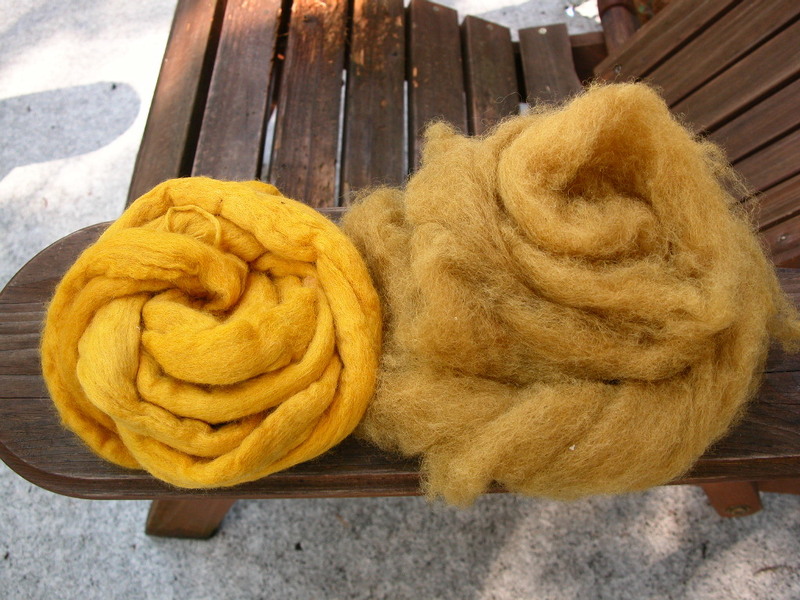 I’ve been experimenting with dyeing fiber with different mordants in the same pot. Starting to think of it as part of the design process; pre-mordanted with a main color and smaller skeins of secondary colors, all mordant controlled, for a stranded-knitting design, a Fair Isle hat, for instance. Found a mystery mushroom — yellow cap, purple-gray gills, yellow stem, not decurrent, red/brown spores, webbing on the smaller; produced a similar range of colors as you’ve shown above. I was very sleepy when I wrote this last night, and I forgot to say how lovely. I’ve learned so much from reading about your work. Thank you. Thanks for your comment – it’s all a learning experience. Any idea what your yellow mystery mushroom might be? Gorgeous colorway. Greens have largely eluded me so you can bet I’ll be trying an iron mordant with my next Phaeolus. We’ve had a long stretch of dry weather here so my gathering has been halted, but next year for sure. I did find a new-to-me mushroom a few weeks ago that I’m calling a dog’s nose fungus, and it gave me an olive green that I was pretty excited about. Oooh, did you get a picture of the dog’s nose? 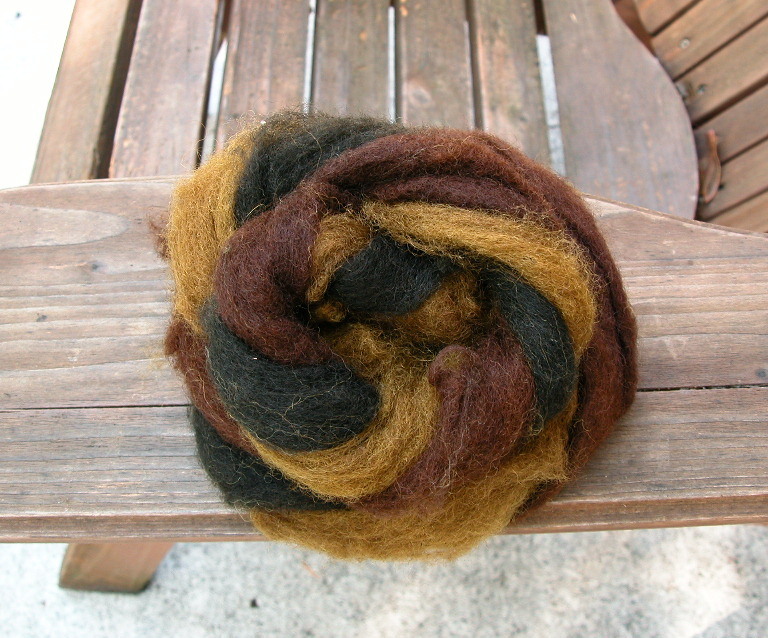 I didn’t get a great photo of the finished wool, but it is an olive green up close.